Take your foot off the pedal and press the RES/+/SET/– switch down when you reach the desired speed. 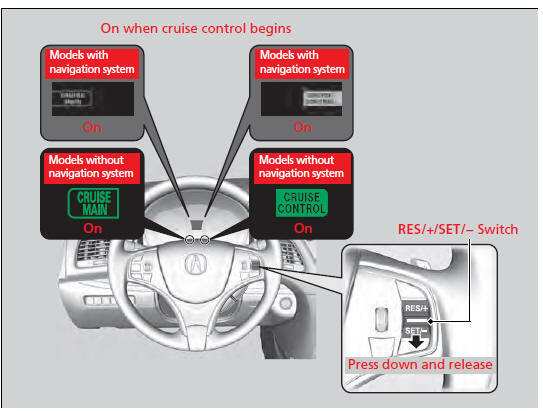 The moment you release the RES/+/SET/– switch, the set speed is fixed, and cruise control begins. The CRUISE CONTROL indicator comes on.